Hi Sharon here and today it's my turn for Inspiration Wednesday. 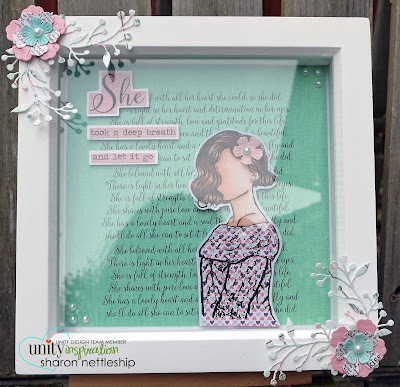 I saw these shadow boxes on sale at my local craft shop and thought it would be ideal to use with my Unity Stamps to make something for my home. 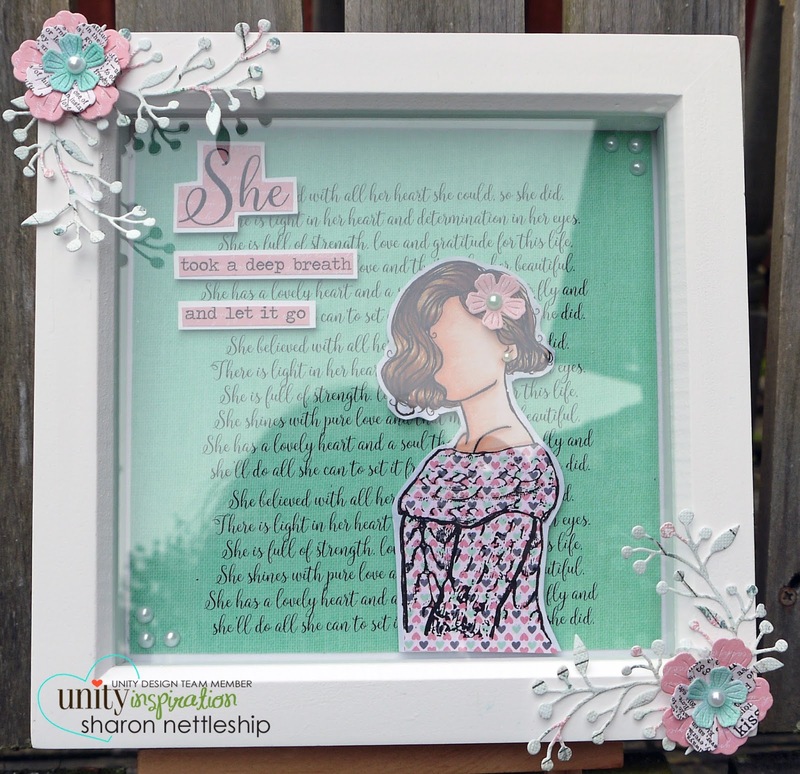 I've used this month's Sentiment kit "She Never Says Never"
I hope you've enjoyed seeing my inspirational project. See you again soon.